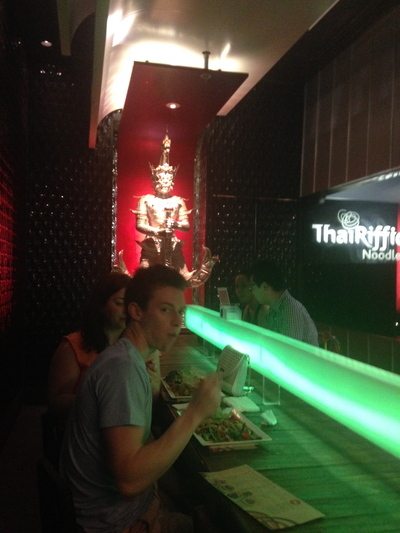 Thai Riffic can be found at Westfield Sydney's Food on Five. 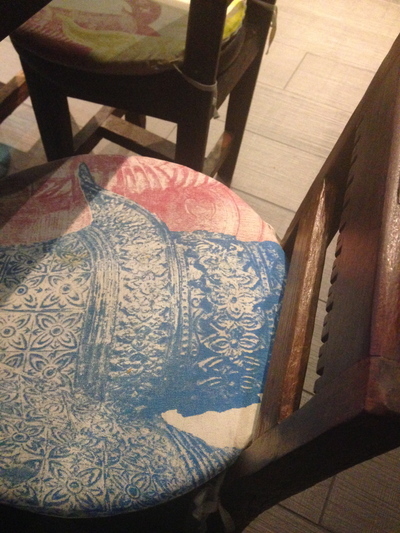 A bistro style Thai Restaurant with a fantastic communal based table in elegance. A great way to escape the hustle and bustle of a busy food court outside. 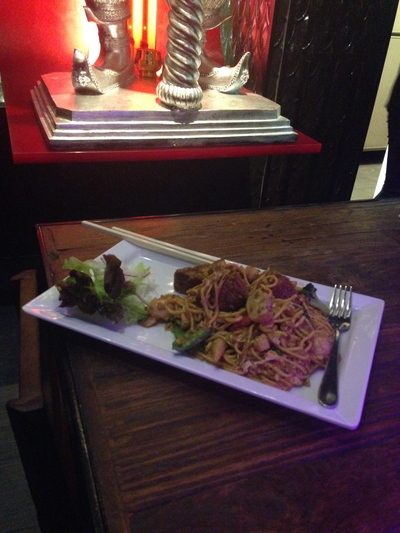 The focus of this review is on the stir-fry noodle menu. There are three simple steps to thai food paradise, and this is literally fast food. Come here hungry, you won't be waiting too long. 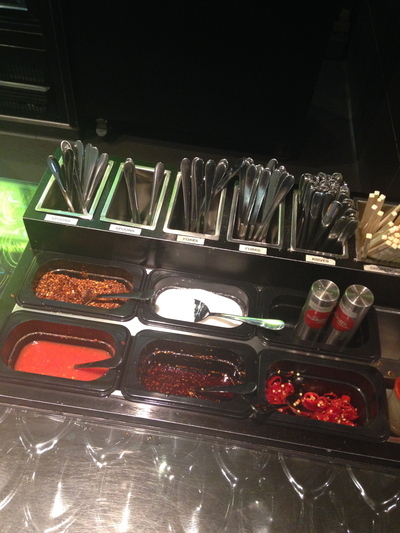 A pager is handed to you to collect your food as soon as it's ready. 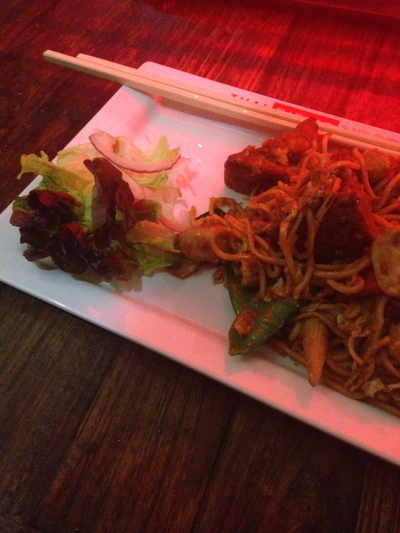 Hokkien noodles, vegetables and satay sauce with tofu. Finally, choose whether you want vegetables with tofu, or a meat base. Choose from beef and chicken, prawn or seafood. Roast duck and octopus are also great stir-fry additions. 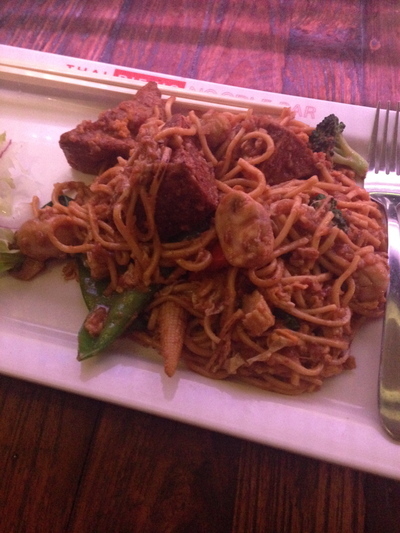 Opted for the vegetable and tofu stir-fry with hokkien noodles and satay sauce ($11.50) - so far so good. Beautifully presented with a bit of salad on the side. 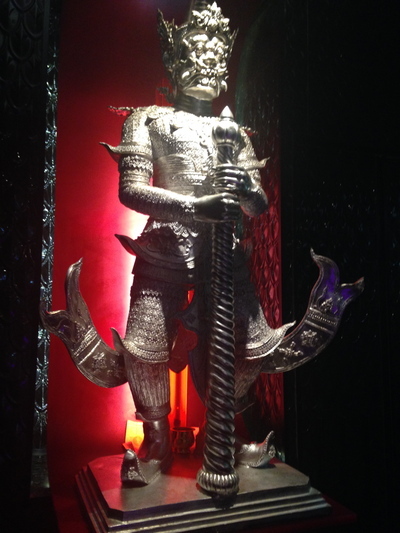 Loved the dark themed ambience. Quite a tasty, filling dish. The tofu pieces could have been a little smaller, otherwise I did not fault this dish initially. Love the constant change of colour - of the massive light atop the table in the dining area. 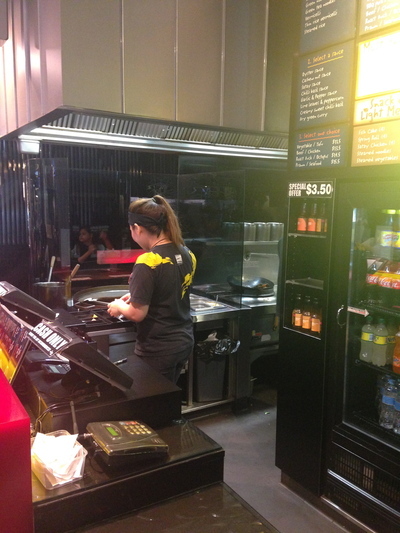 Busy at the front counter, yet fast service was enjoyed all round. Sadly, the beautiful and simple experience was spoilt due to a stomach upset for an otherwise healthy and happy person one hour later. It is not fun spending your Sunday afternoon, if not any time stuck on the toilet - with the need to continually go for at least another hour. Because of this unexpected stomach upset, I have no choice but to mark this dish and establishment down. A great cheap feed, yet the food on the occasion did not agree with me. Maybe it might with you. It might be good to not go full on vegetarian next time. 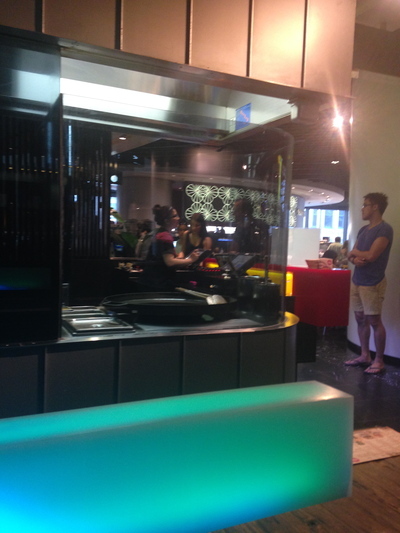 Where: Thai Riffic Noodle Bar at Westfield Sydney's Food on Five - Pitt Street Mall Sydney. Why: Fast service and fast, filling food at great prices.